From autumn 2014, Kungsleden’s biggest property in Kista outside Stockholm will be heated and cooled using a renewable energy source in the form of a custom-built geothermal energy plant. The project is being completed in partnership with energy supplier Eco2 Energy. The expected energy savings imply that the property qualifies for Green Building certification. Kungsleden continuously strives to increase the efficiency of the energy consumption in its property holding, and to seek our environmental solutions and reduce CO2 emissions. 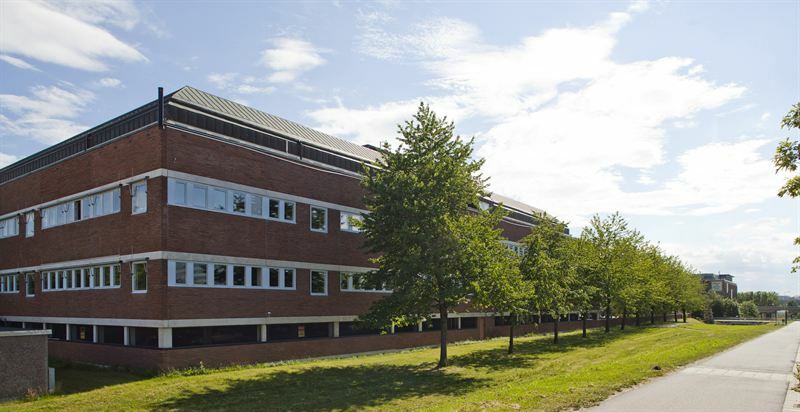 The office property, Torsnäs 1, had an existing cooling system that required extensive upgrades and investment, and Kungsleden opted to comprehensively re-evaluate the property’s energy supply, both in terms of heating and cooling. Because the property sources its heating as well as its cooling from the bedrock beneath the property, this reduces the energy required by up to 75%. “It’s important to Kungsleden to continuously adopt new thinking and evaluate green approaches. The geothermal plant in partnership with Eco2 Energy suits us, as we can upgrade our systems and optimize the environmental effect while also reducing the cost of heating and cooling. If the project is successful, we see the potential for adopting similar solutions in a number of our properties,” commented Eskil Lindnér, Head of Property Management at Kungsleden. ”I’m delighted that we’ve been trusted to supply Kungsleden with this solution. It’s another important step in the process of becoming established in Kista. We now have another opportunity to demonstrate that our offering represents an effective tool for property owners to ensure long-term cost reductions for green heating and cooling, without having to allocate capital to the project,” commented Häggqvist, Eco2 Energy’s CEO. Work on the geothermal plant will begin during the summer. Heating and cooling production is scheduled to start in autumn 2014. Kungsleden AB (publ) discloses the information in this press release according to the Swedish Securities Markets Act and/or the Swedish Financial Trading Act. The information was provided for public release on 13 June 2014 at 10:00 a.m.